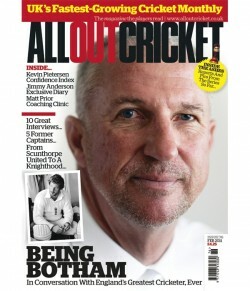 John Stern, the former editor of The Cricketer magazine, has joined the team of All Out Cricket in the role of editor at large. Stern was the highly regarded editor of The Wisden Cricketer, as it was then known, from 2003 until 2011. He also writes for The Times and is compiling an anthology for Wisden Cricketers’ Almanack. “I’m really looking forward to contributing to the editorial team and helping to develop All Out Cricket in both its magazine and online formats,” Stern said.